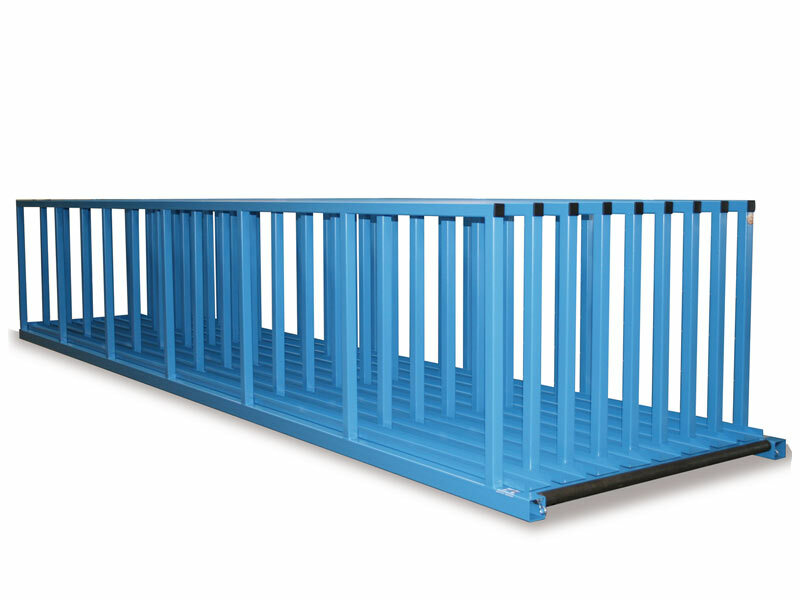 The Flat Pallet Rack TRG is captivating by its compact steel construction and is particularly space-saving. Multiple sections can be placed adjacent to each other. The roller-mounted roller installed provides easier retraction and extension of the sheet plates. With end stop. 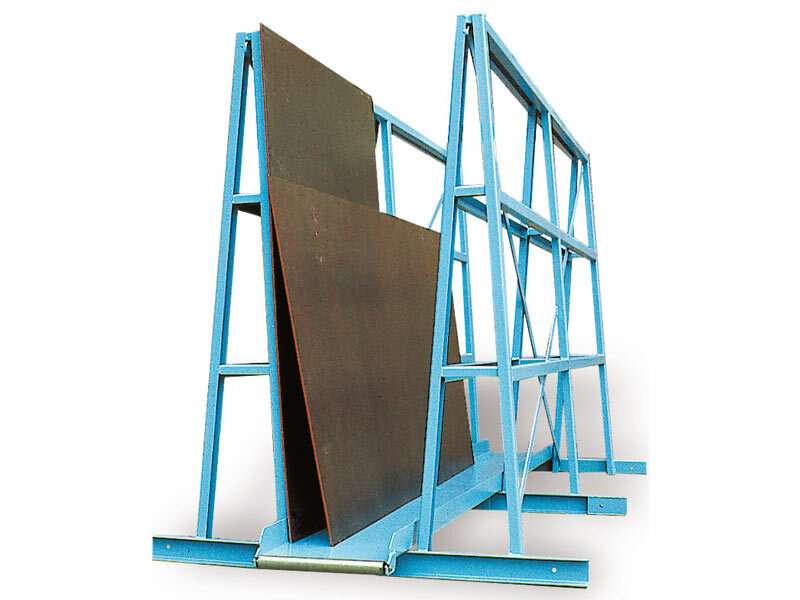 Ideal for vertical storage of sheets, wooden plates, plastic plates and other plate material. Especially space-saving thanks to the compact design. Multiple sections in any number can be placed next to each other. Easy storage and removal via roller-mounted roller at the front of the rack. Custom paint coats in all RAL colours and custom versions possible, e. g. version with 2nd level or roof storage. 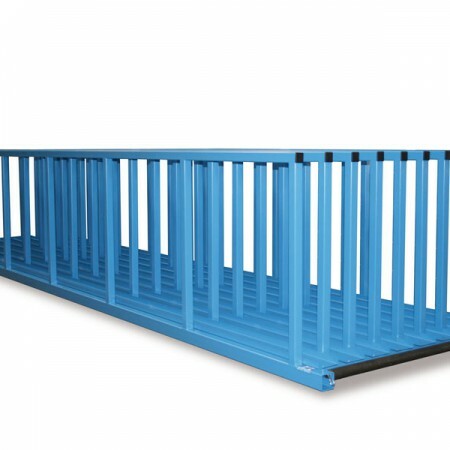 We are happy to consult you, and plan and produce your individual flat pallet rack. To specify your request you may use our inquiry form. 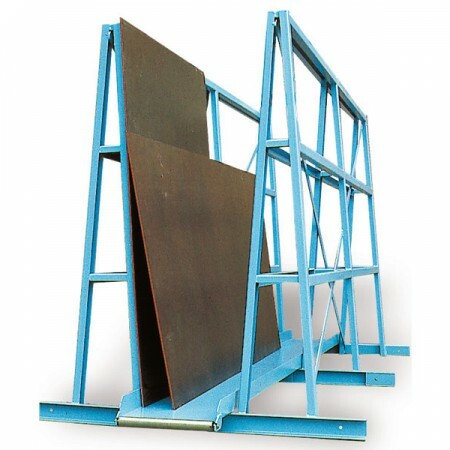 The Flat Pallet Rack TRG requires mandatory inspection. 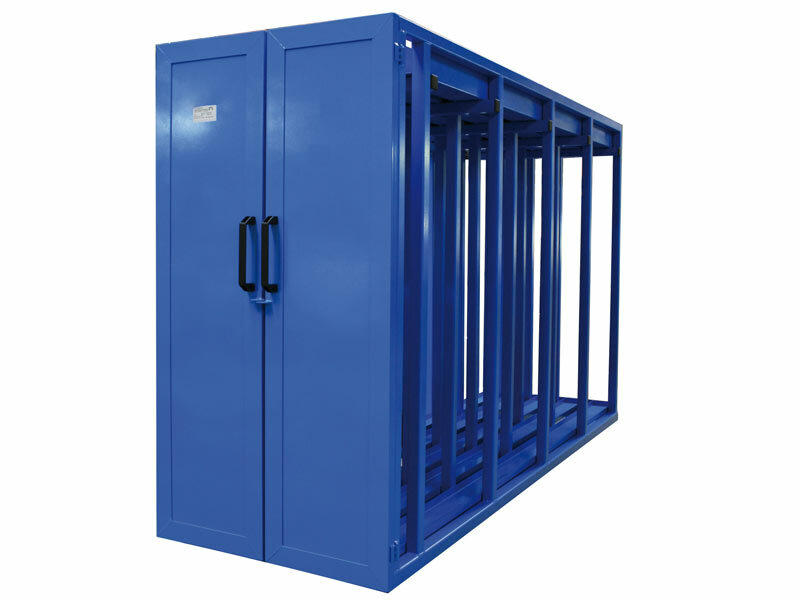 As safety is always a top priority, we offer rack inspections according to DIN EN 15635. 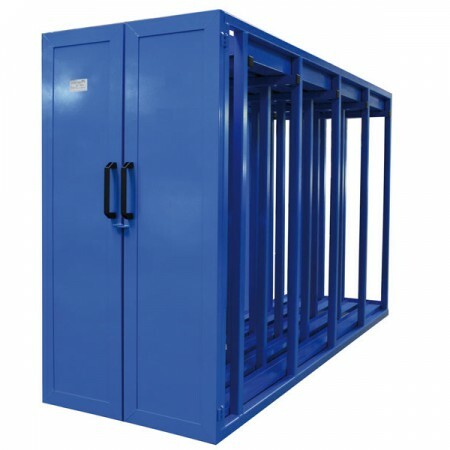 Serious accidents and high repair costs can be avoided by effectively preventing damage to the storage equipment! 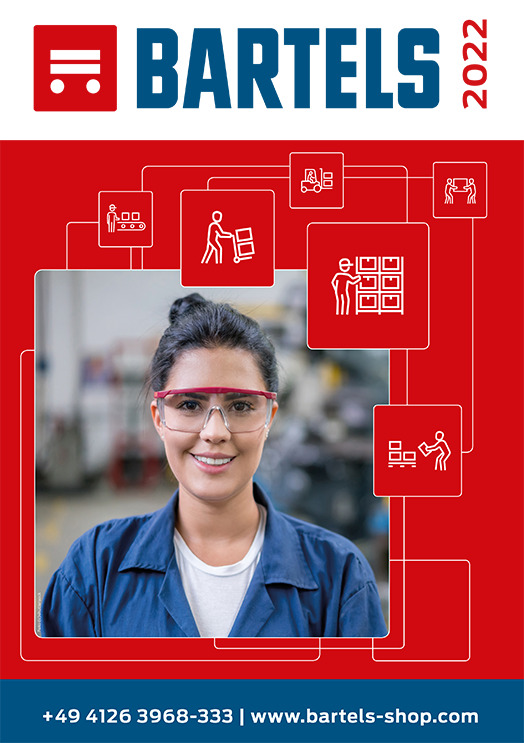 Our TÜV (German Technical Inspectorate) certified rack checker provides the annual safety check for your warehouse equipment in accordance with DIN EN 15635 according to BGR 234. Learn more about the rack inspection.